Dysmenorrhoea or painful periods preventing daily chores. Crampy pain that passes from back to front in the lower part of the abdomen and goes up to the thighs. Miscarriage or abortions. It helps to prevent miscarriage. Abdomen and leg cramps in pregnant woman. 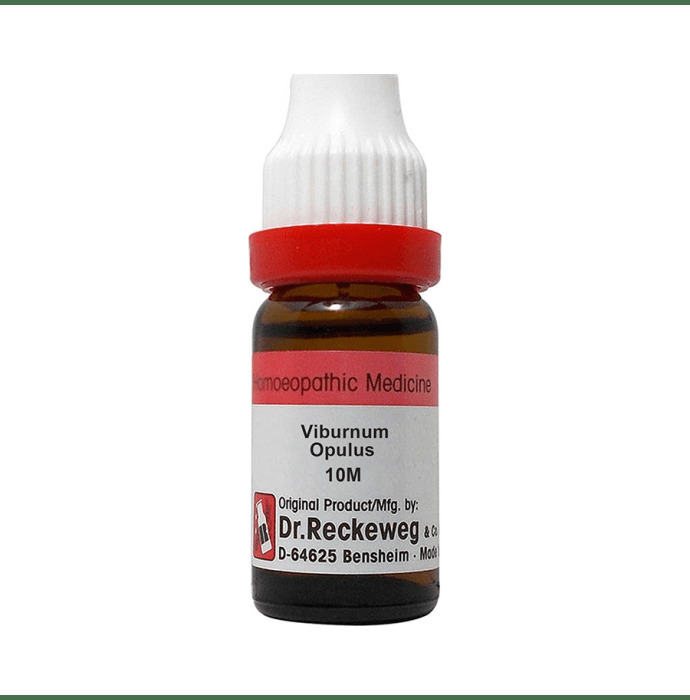 A licensed pharmacy from your nearest location will deliver Dr. Reckeweg Viburnum Opulus Dilution 10M CH. Once the pharmacy accepts your order, the details of the pharmacy will be shared with you. Acceptance of your order is based on the validity of your prescription and the availability of this medicine.